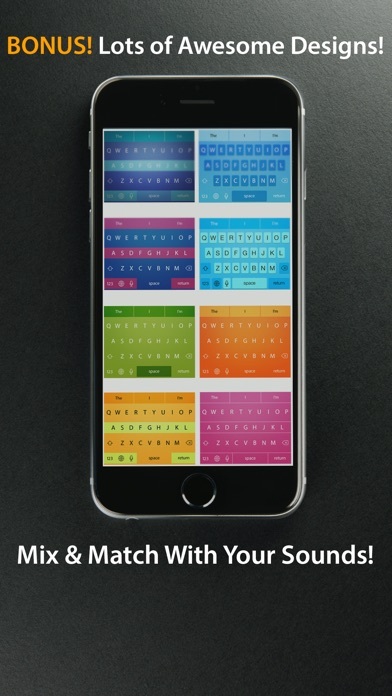 Introducing The First Sound Bite Keyboard --Get A Laugh From Every Tap! 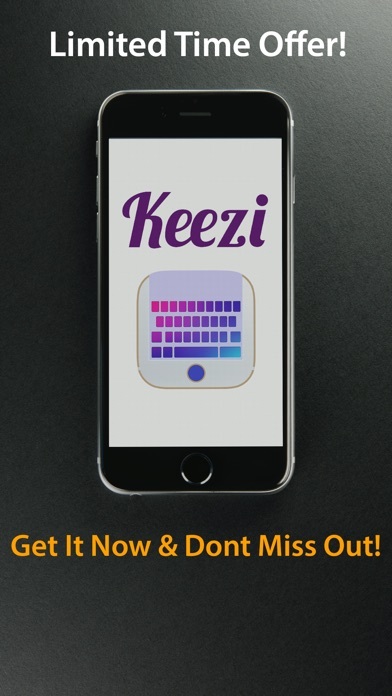 With Keezi Keyboards, you can match up which a beautifully designed keyboard with a sound of your choice. We've got kittens, screams, burps, babies, kisses, lasers & whips. And that's just a taste of what we have for you! 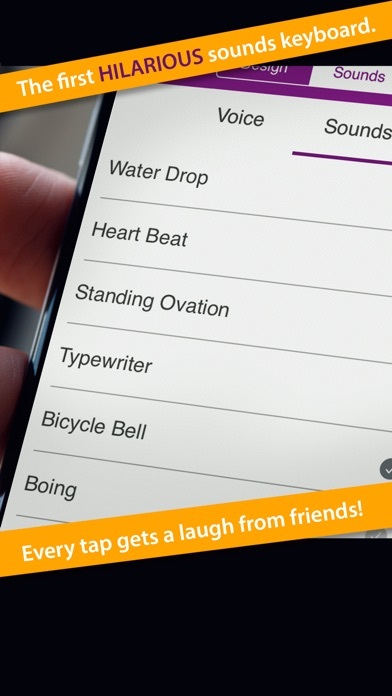 Lots of combinations, designs & sounds so you can impress & have some laughs with your friends. Enjoy! Made with love by the Better Words team. Great so far. No problems wish I had more colorful keyboards to chose from but I am enjoying it. this app is so funny snd i'm having a blast with it!! This app is probably cool. But it wants me to allow all access so if I do online shopping or banking it can get my credit info and pin. If I fill out a job application guess what? They then have my social and birthday. That's all they need to steal my identity. I do not recommend this app. If they fixed this so it was safe I'd probably consider spending money on this. I'm adding this part on a few hours after that too part. So not only did I suddenly have one of their boards pop up while I was messaging. I hadn't turned it on or given it access!!! So I had a hard time getting it down. I'm concerned about it allowing its self access to my phone. Plus the keyboard was all wacky and I couldn't type well ( I finished my message to my friend) it lagged, used the wrong letters all kinds of stuff and was a fight to type what I meant to say. So now I will be having my phone throughly check for any issues caused by their app. Again I do not recommend this app unless they do some SERIOUS WORK! No trust for this app or its makers. I have deleted it as well as the app that advertised it to me.